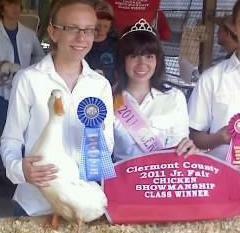 2012 Clermont County open poultry show, Best Duck! 2012 Clermont County Fair Showmanship winner! 2011 Clermont County Fair Showmanship class winner!